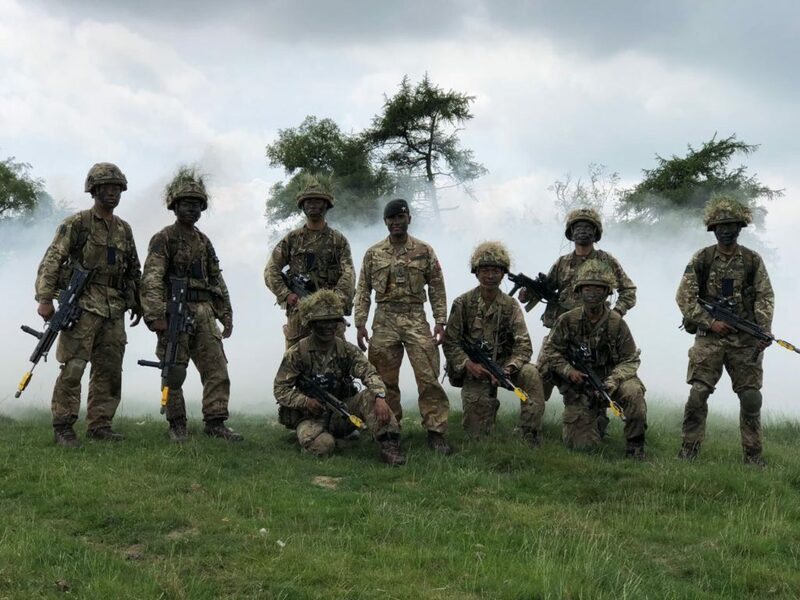 Welcome to our Blog which will follow the events and training of some of our latest Gurkha recruits through their training with Gurkha Company at the Infantry Training Centre, Catterick. 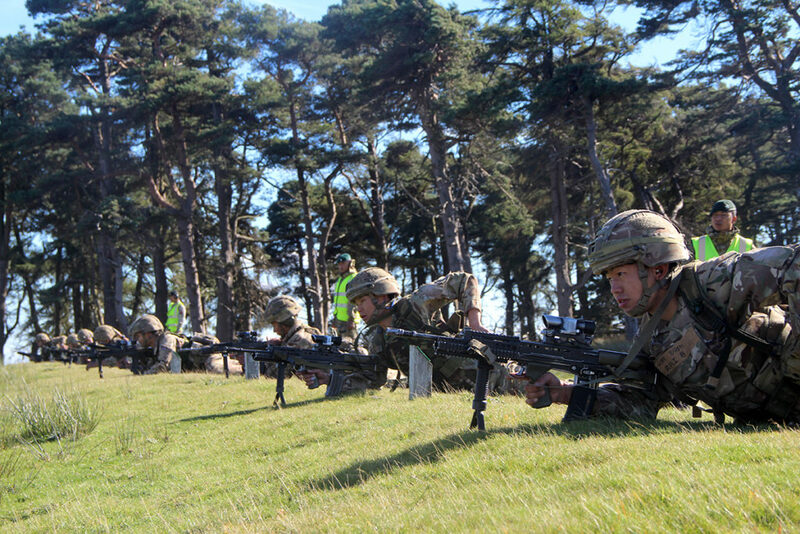 The Recruit Intake 2018 Inter Platoon and Section Operational Shooting Competition (OSC) was held on 27th September at the Catterick Range complex. All eight platoons consisting of twenty-four sections participated in the competition. The aim of the competition was to introduce the trainees to shooting competitions and enhance their marksmanship skills and ultimately find a champion shot for Intake 2018. 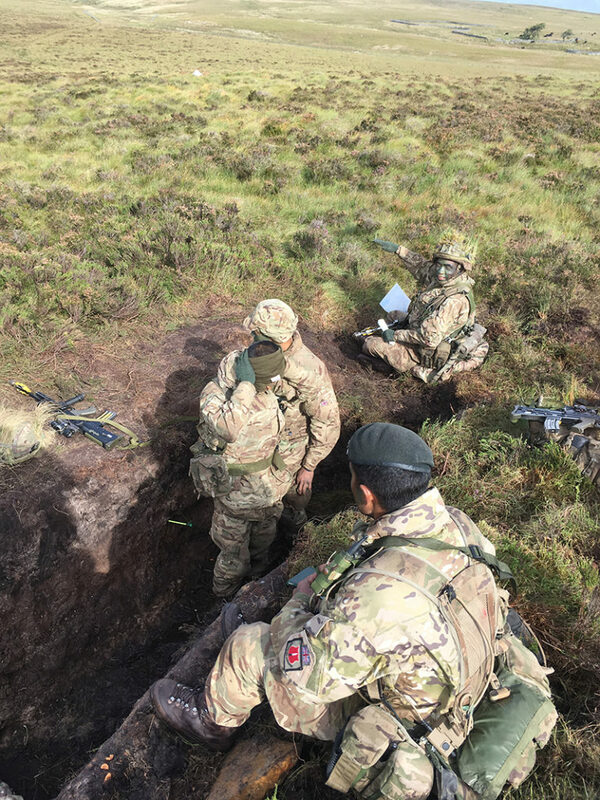 The competition was conducted simultaneously in three ranges under the direction of Gurkha Company’s shooting officer Captain Bhakta Sherchan and his range staff. 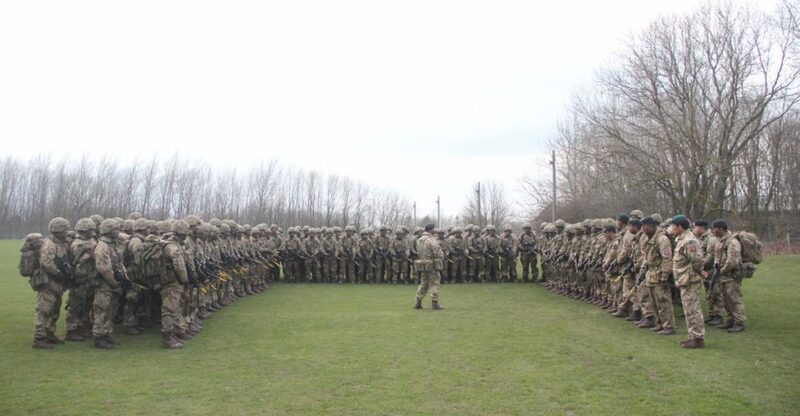 On completion of the final detail, all trainees and staff congregated and the Commanding Officer 2 Infantry Training Battalion, Lieutenant Colonel Simon Davies, addressed all trainees and staff and highlighted the significance of the marksmanship skills. He also expressed his gratitude to all training staff for their commitment. The prize giving ceremony took place immediately after the Commanding Officers address. Trainee Rifleman Ranish Roka Magar sat on a specially decorated chair and was carried around with a crowd of his Platoon and staff following behind. Hello again, my name is Yubraj and I am writing today about our training and cap-badge ceremony. Some readers may not know, but the Brigade of Gurkhas is more than just Infantry. For example last week I was selected to join the Queen’s Own Gurkha Logistic Regiment (QOGLR), which I am very happy with. In QOGLR I will get an opportunity to learn new skills in logistics, such as driving and catering, and also to work with all other units in the British Army. I was really impressed with the QOGLR presentation, which is why I chose that unit. Take a look at other Gurkha websites and you will see more about cap-badging. Last week we deployed on Tactical Exercise 3. It was a defensive exercise and everything was new for us. We had to dig trenches for the first time, and it was the first time we got really cold and wet on exercise. It was very hard for us all, but we got through it. It has improved our administration and team work abilities. We were all really tired because we had no sleep for 4 days! Soon we are going on our final exercise, which I think will be a big test for all of us. I am looking forward to it, but I really don’t like the cold. I am very excited for the live firing week and will hopefully have lots of interesting things to say in my next blog. 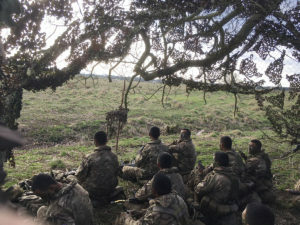 Since arriving in mid February the 270 recruits have been undergoing training in basic soldiering and infantry skills as well as taking part in their culture and language package. 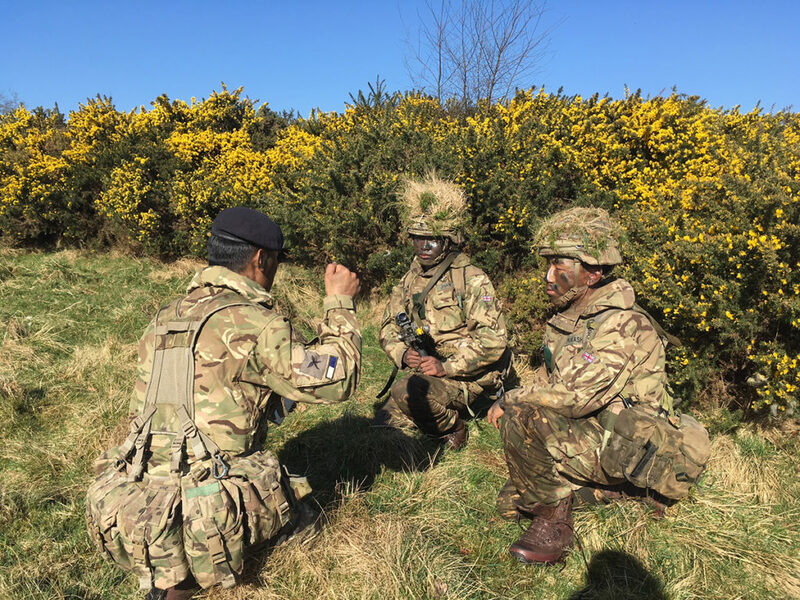 During this period, units of the Brigade of Gurkhas visited to explain the roles and responsibilities of their cap badges in order that the recruits can make an informed choice. On 10 Septemeber they found out which part of the Brigade of Gurkhas they would be joining. Gurkha Company (Coy), A Wing Inter Section Command Task Competition was conducted on Friday 17th August 18. The competition was planned and led by Corporal Bikash Kerung Guruji and his team. 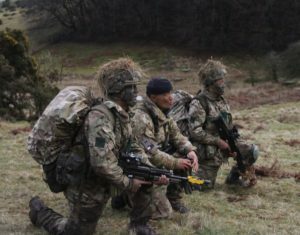 The aim of the competition was to give an opportunity for the trainees to develop their team cohesion, problem solving techniques, self-confidence, command and leadership skills. At stand one, conducted by Corporal Dhiraj Guruji, we had to solve the infamous Tower of Hanoi puzzle, made with tyres and iron rods. We soon realized that we had to nominate a leader among us who could ensure that everyone worked together and maintained good communication at all times. This stand taught us the importance of having a leader within the team and the requirement for planning and co-ordinating the task. Stand two was conducted by Corporal Bishnu Guruji. Our scenario was that a vital piece of equipment of a Bowman radio was surrounded by mines planted by the enemy. Our task was to retrieve the equipment with the tools we were given within 15 minutes. My numberi, Bharat, was nominated as our leader, and he immediately started to brief us on the scenario. He then subsequently planned and implemented a solution effectively and efficiently; for this he won the Best Leader’s award on this stand. We learned that it is important to have a good confident and competent leader who can push his team towards success. Corporal Santosh Guruji was in-charge of stand three, where I volunteered for leader of the team. The scenario was that our medical pack was stuck at the centre of a quick sand and we had to recover it as quick as possible and prevent it from sinking. We made several unsuccessful attempts almost coming to a decision to abandon the medical pack, but as a leader I kept on encouraging my team, and we had another go with a new plan and finally saved the pack form sinking. From this stand, we learned that we need to try different plans when one does not work and that in hard times we need to have the determination to win. Later that evening, we had a social gathering as a Wing where the Learning Development Wing teachers and staff were invited to appreciate their help and support to us during the education weeks of our training. A short prize giving ceremony was also carried out, where 2 Platoon 2 Section were delighted to receive the first prize. The Taekwondo upgrading of Recruit Intake 18 was held at McKay Gym at the Infantry Training Centre Catterick on Sunday 19th August 2018. Amongst the 262 trainees who participated in the Taekwondo upgrading, 256 of them received yellow belt (8th KUP), four received Red Tip belt (3rdKUP) and two received Black Belt (1st Dan). It was a great result of hard work and extra effort, that was put together during the training by both trainees and instructors. The trainees would not be able to achieve this lifelong self-defence skills without the distinct leadership of Sergeant Raju Sunuwar and the time, effort and dedication of his team members; Corporal Dibesh Lama, Corporal Bishnu Magar and Corporal Madhu Gimire. 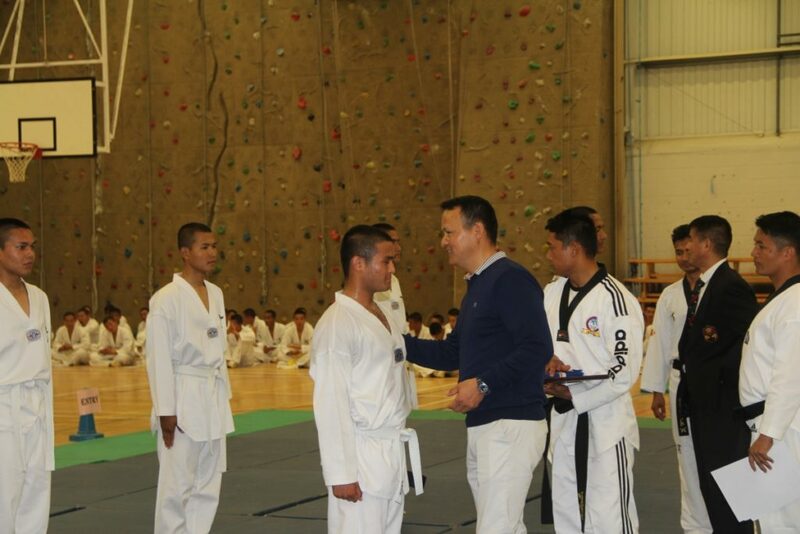 When asked Corporal Bishnu Magar said; “that his entire team felt a great sense of accomplishment as dedicated Taekwondo Instructors when they witnessed the highest standard of the skills and discipline displayed by trainees”. 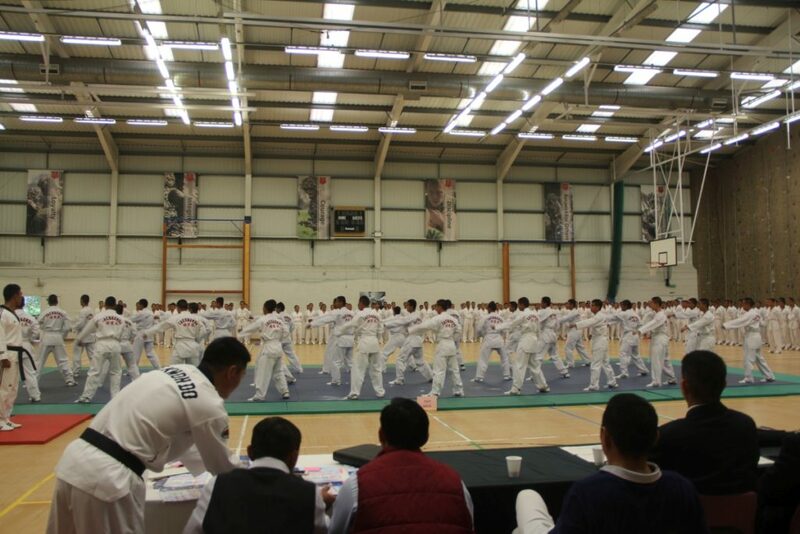 The event was not only focussed on the Taekwondo assessment but various other displays such as Taekwondo dance and use of sticks for self-defence. The upgrading was judged by Master Rastra Rai (Sixth Dan in ITF and WTF) a founder and Chairman of Sagarmatha Taekwondo Dojang and Master Beni Gurung. On the completion of the assessment a belt and certificate based on their individual merit and set skills was presented to everyone by the Officer Commanding Major Prem Gurung MBE and Master Rastra Rai. It was a real privilege and honour for trainees to have received their new belts. 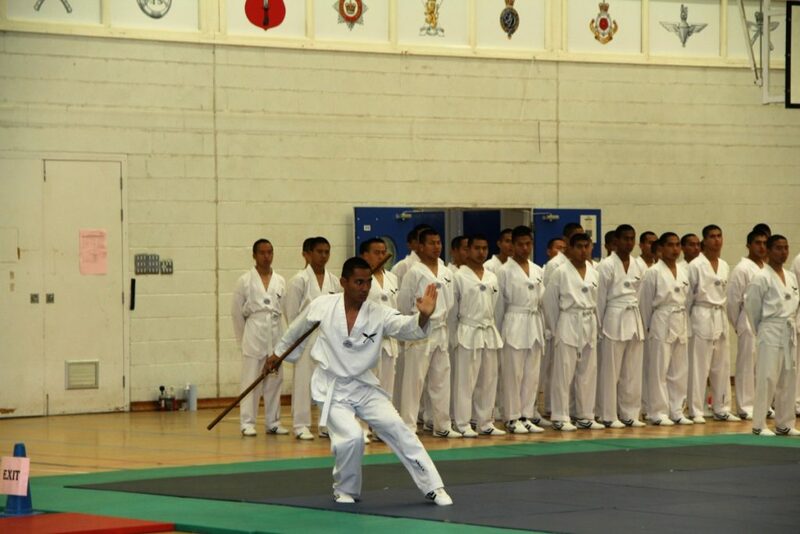 It is a wonderful tradition of the Gurkhas that all soldiers receive Taekwondo training during the nine month long Combat Infantryman Course which not only give them an opportunity to learn skills for self-defence in close combat, but more importantly they learn the principle values of the British Army; Courage, Discipline, Respect for other, Integrity, Loyalty and Selfless Commitment through the process of this wonderful training. Hello again. We have been really busy here for the past month, so I am sorry that I have not written sooner. We have had a week of Tactical training when we learned to do different types of patrolling, and also a week of Adventurous Training which I am writing about today. 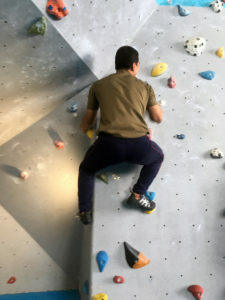 Adventurous Training is activities like rock climbing, mountaineering and caving which help soldiers to learn teamwork, physical courage and also to not be scared, at the same time it is a lot of fun which I hope you can see from the photos. 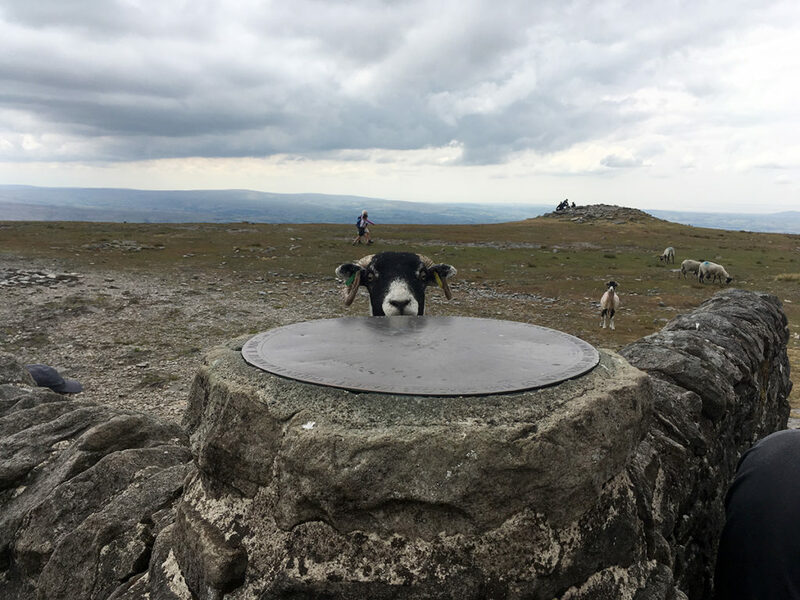 My group spent two days rock climbing, both indoors and outdoors, and two days mountaineering in the Yorkshire Dales and the Lake District where we also practiced our navigation, a key skill for a soldier. The rock climbing was really fun, but very hard for the arms. I would like to do it again. The mountaineering was very useful for us because we use the skill all the time. It gave us an opportunity to learn the practical skill of navigation in a different environment. The Lake District was so beautiful and it really reminded me of the environment at home in Nepal. However the weather was really bad on top of the hill, we all got soaked. In the evenings we had an opportunity to watch films, have a BBQ and to completely relax. I really liked Adventurous Training and I want to do more when I go to my unit. I hope this has kept you interested in our training, me or one of my friends will update you soon! 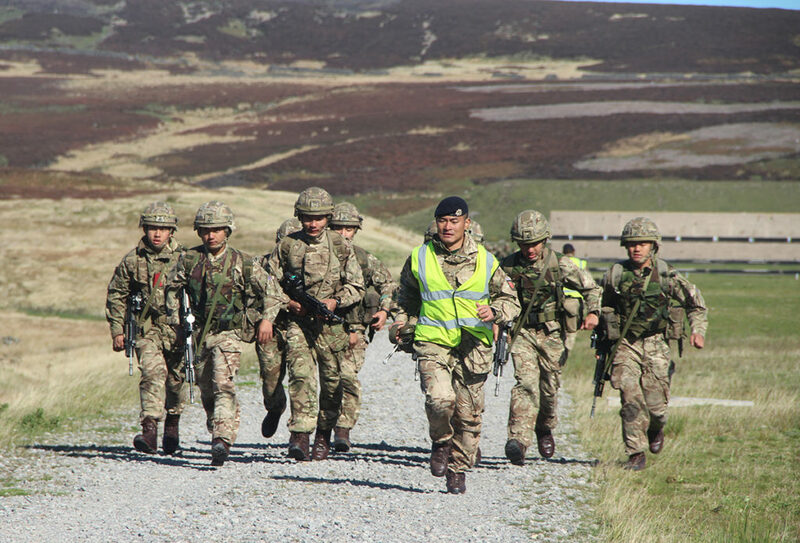 Amongst the 5000 runners on the Great North 10 run this year were 206 Gurkha trainees and Staff from Gurkha Company, Infantry Training Centre, Catterick. 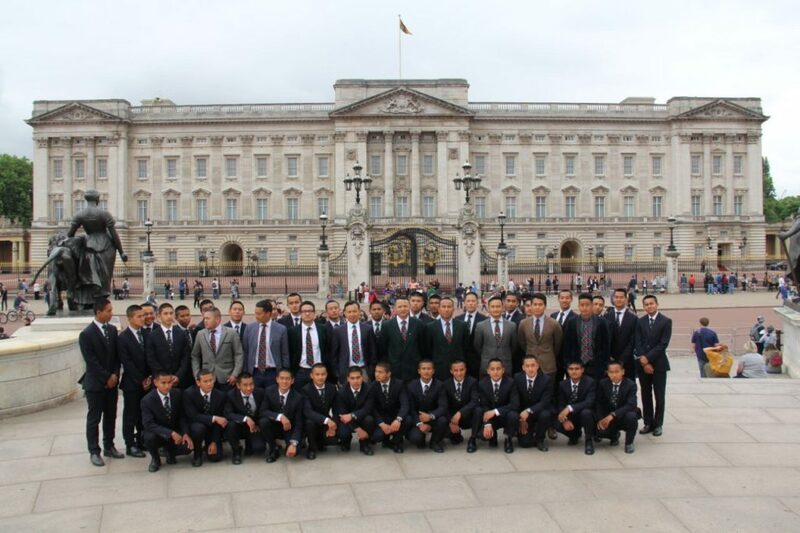 It was a sixth consecutive year that Gurkha Company have taken part in this event. Early morning, the entire team from Gurkha Company departed from Helles Barracks in four coaches and arrived at Gateshead Newcastle at 0845hrs. After sorting out their own administration, everyone walked to a location where they were allocated a separate starting point. The race started at 1000hrs and they were released on second wave. 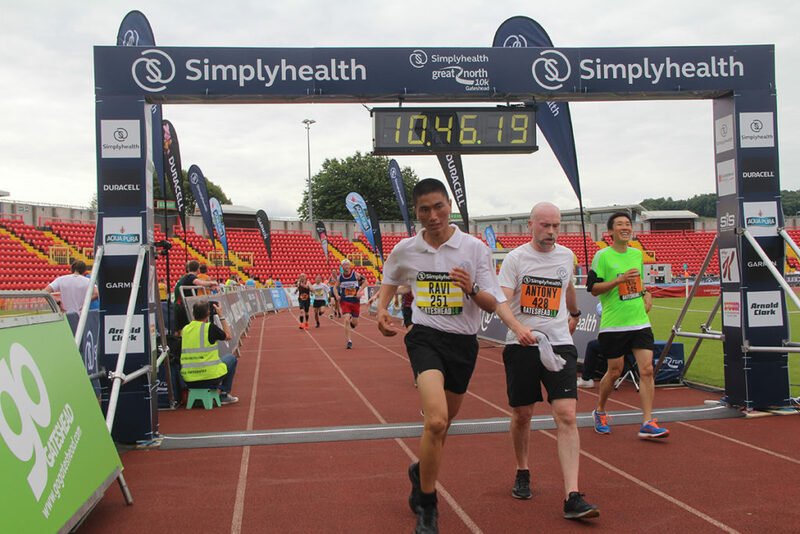 The finish line for the race was at Gateshead international Stadium. Trainee Rifleman Amirbahadur Singh managed to secure 10th position with a time of 36 minutes 58 seconds. Trainee Riflemen Anish Karmacharya and Mahes Limbu came 22nd and 30th respectively. Namaste again! Since the last time you read this we have been very busy. We have had more language lessons and spent a great time in London on Exercise Tesro Kadam. Tesro Kadam means “third step” in Nepali if you were wondering! We really enjoy the language training. All of our English teachers are civilians, so the English lessons are a nice break away from military training. It is also a good opportunity for us to show more than our soldiering skills. We used our new English skills on our visit to London. It was amazing to see the famous city, and all of the museums are amazing. It is nothing like we have in Nepal. Take a look at the photos and you can see some of the places we visited. The Imperial War Museum was my favourite, it was very good to learn about all of the history. Hopefully next time we can visit some of the football stadiums! and other various interesting places including Imperial War Museum. During the visit, with the kind invitation from His Excellency the Ambassador of Nepal to the United Kingdom Dr. Durga Bahadur Subedi, both wings also had opportunity to visit Nepalese Embassy in London. They were welcomed and hosted by H.E. Dr Durga Bahadur Subedi and his staff where they presented a typical Nepalese cultural show to Embassy staff and their guests. 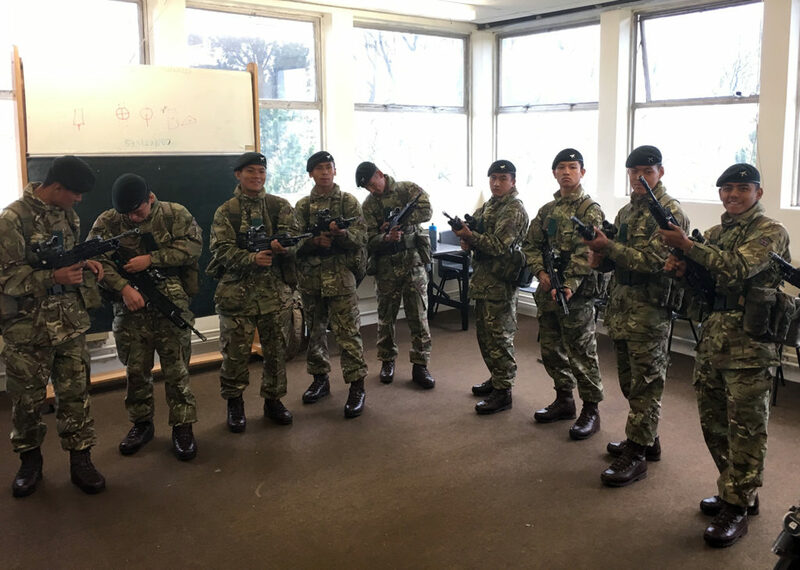 On the second week whilst A wing were out in the London, Officer Commanding Gurkha Company, Major Prem Gurung MBE, paid his visit to trainees. He also observed the cultural show presented by A wing along with Dr Subedi and his staff. 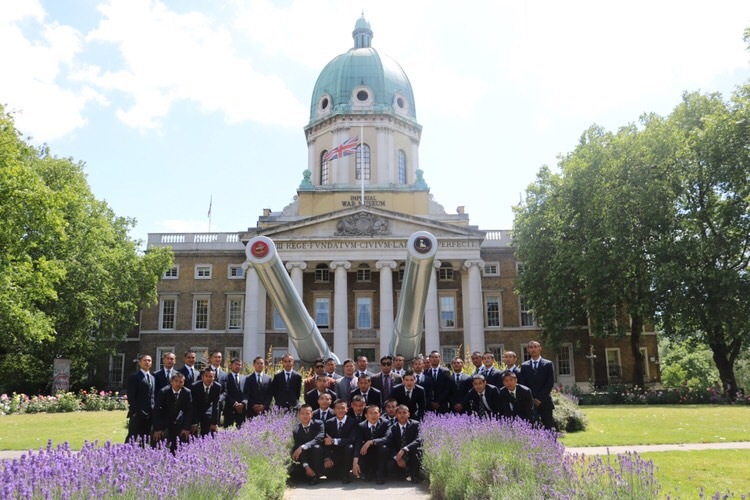 On the last day of the exercise, all trainees had opportunity to visit Gurkha Museum located in Winchester. They observed the opulent Gurkha history beginning from Anglo Nepal war to the modern era and many valuable entities preserved for the history. Although, A and B wings have been to London and observed the vibrant city of London, C wing consist of 7 and 8 platoons are yet to have that experience. Surely, their London visit will also be published in due course. Hello once again from Catterick! We’ve been so busy during the last weeks that I have not been able to write. In the last few weeks we have been shooting, doing battle PT and learning about the section attack and platoon attack on Tactical Exercise One. Every week since we have arrived has included weapons training, but now we are really learning how to shoot properly. This has included close quarter marksmanship, which is learning how to shoot an enemy at close range. We all really enjoyed this as the shoots are realistic and still quite difficult. Our Platoon Sergeant Guruji is a very good shot, and he showed us his techniques from the Army shooting competition so that we are always learning. 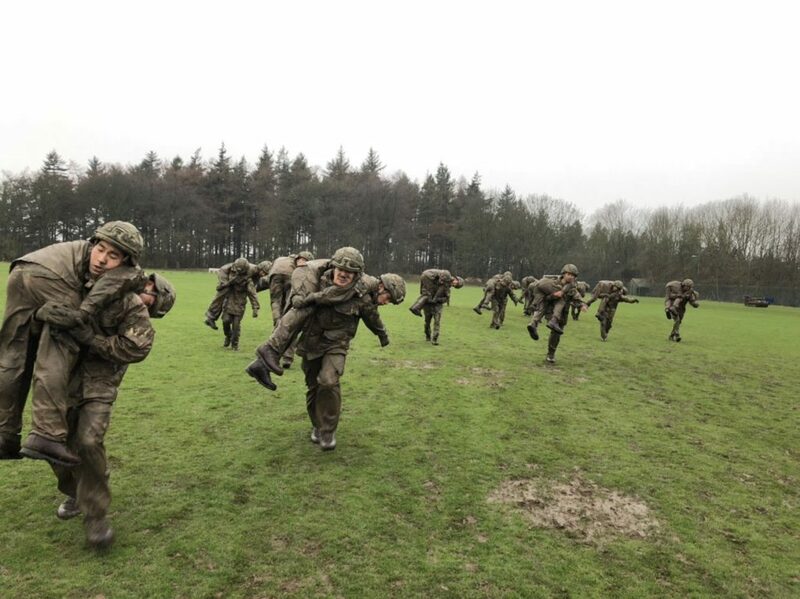 As you can see from the photos we have been improving our fitness with battle PT – this is like normal PT but using techniques, such as fireman carries, which may be used in a battle situation. It is really hard, definitely the hardest PT, but I still enjoy it and enjoy getting muddy. However the laundry is difficult afterwards. Finally we went on Tactical Exercise 1, where we learned about the section attack. What a great experience. It made us feel like real soldiers, and I think in the photos that we look like real soldiers too! The weather has been beautiful here, and we all really like the British Summer. Maybe you have seen a video of my friends enjoying the seaside too? Look out for the next blog post. We are going to London soon so I will have a lot to write about! His Excellency the Ambassador of Nepal Dr Durga Bahadur Subedi officially visited to Gurkha Company, Infantry Training Centre Catterick on Friday 11th May 18. He was accompanied by the Military Attaché Nepal Army Colonel Kumar Babu Thapa Chhetry. On arrival he was officially welcomed and hosted by Officer Commanding Gurkha Company, Major Prem Gurung MBE and his staff in Helles Barracks. He was given a brief updates about Recruit Intake 2018 (RI18) training by Officer Commanding (OC) Gurkha Company. He then attended the Arakan battle honour memorial day organised by 8 Arakan Platoon in Himali Chautara where he laid wreath along with OC Gurkha Coy and MA Nepal Army in respect for those who had sacrificed their lives during the Battle of Arakan in Burma on December 1942 to May 1943. In the evening, Dr Subedi addressed RI18 and took photographs with them prior to attend the official dinner night hosted by OC and staff. He thoroughly enjoyed the dinner and cultural programme presented by RI18. This is what he expressed his joy in his speech to the staff at the end of the dinner night. His second day of the visit started with temple service in the morning. 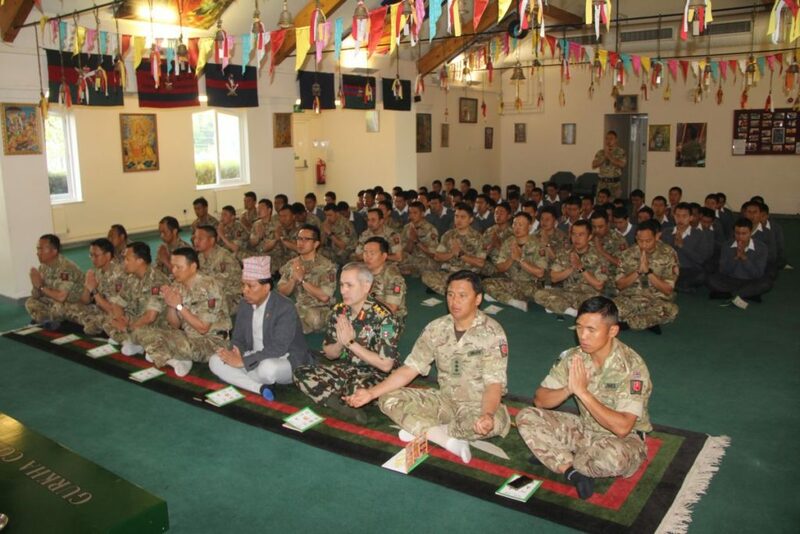 Along with trainees from C Wing and Company staff, he ritually worshiped goddess Durga and implored peace, harmony, prosperity and good health for the member of the Brigade of Gurkhas and their families. 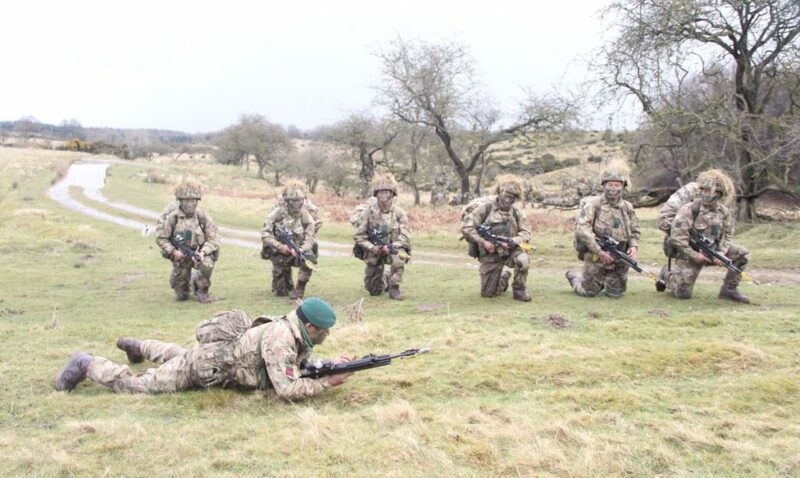 He then joined with coy staff in Dismounted Close Combat Trainer (DCCT) and 25 meter barracks range. 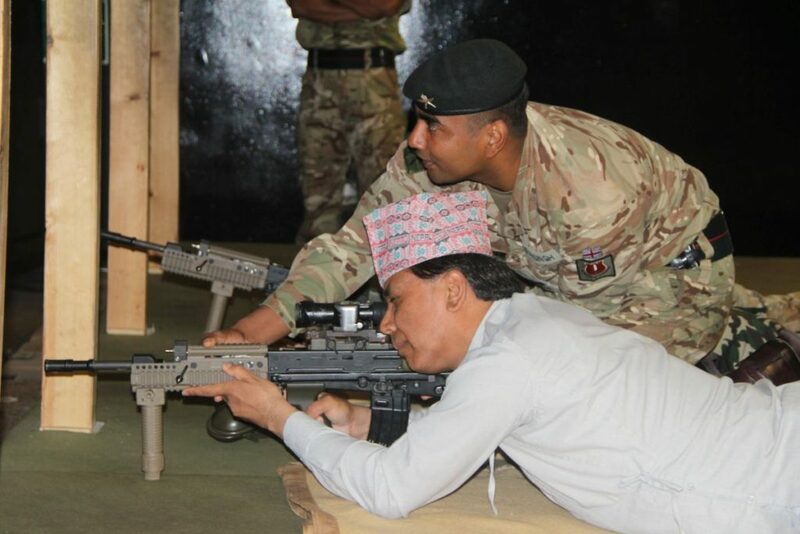 Initially, he was familiarised with DCCT system and given opportunity to understand how the Gurkha recruits do their marksmanship training using the cutting edge technology. Later he fired live rounds using British Army’s combat weapon, SA80 A2 rifle in 25 meter range in close supervision of a qualified Range Safety Supervisor which he thoroughly enjoyed the shooting. 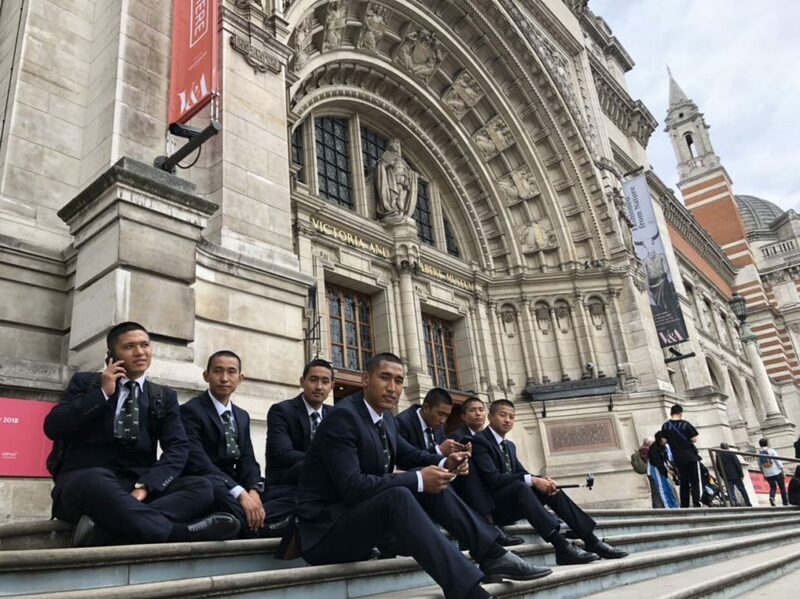 After returning he had a lunch with the trainees sitting with them and chatting about their on-going training which served him a good opportunity to comprehend their state of mind and motivation to be a true Gurkha soldier. Finally he consolidated his visit by signing in the Gurkha Company visitors’ book. Hello again, it’s good to know you’re keeping up with us again. It has been another great few weeks here in Catterick full of new learning and achievements. We have finally completed Intro Exercise 3, which was the final assessment of our fieldcraft skills. We were assessed on our ability to do administration in the field, judge distances, give target indications and the basics of fire and movement in pairs. This last part was the most exciting for us, as we were able to feel like real soldiers. It was a hard exercise because it was the first time we were in the field for more than one night, so we had to get used to rations and sleeping without any shelter, and the work during the day was challenging. However the best bit was the weather! Finally the sun has come out in Catterick and the weather is improving. This helped a lot on Intro Ex 3, because we did not have to worry about being cold. 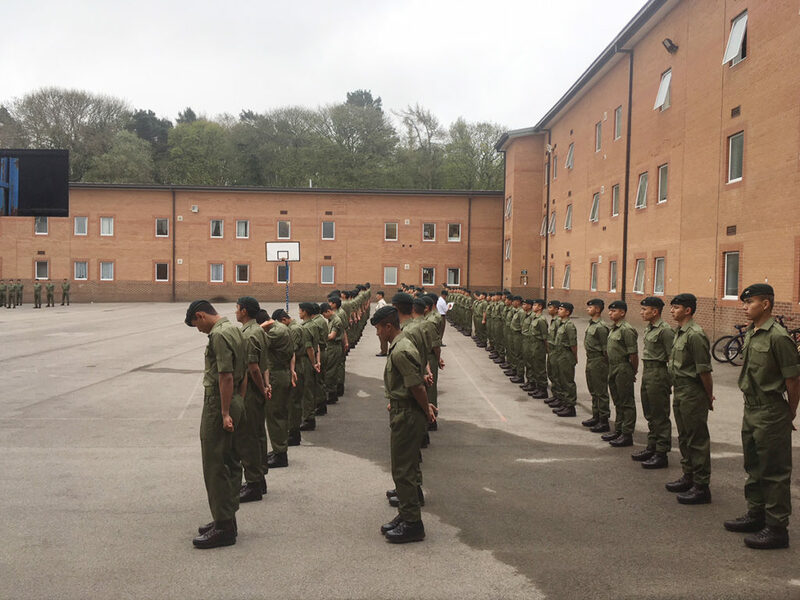 The whole of Recruit Intake 18 Passed off the Square on Saturday 28th, this means we have completed the first stage of our training, and we are another step closer to achieving our goal of becoming Gurkha soldiers. After a lot of practice and preparation, we passed the drill assessment, personal turnout assessments and others. We have finally been given our Kukris, and can now wear these with pride. It was really fun to celebrate with a traditional Gurkha messing, during which we all cook a big curry and do lots of dancing and singing. Our 3 (Tobruk) Platoon was awarded ‘Best Messing’! As always with achievement comes reward, and we have been given more privileges, such as Internet and phone access and we can go out of camp during our free time. I am really excited to visit local towns and cities near Catterick and to go to the cinema. I hope to see you there! Recruit Intake 2018, B and C Wings were deployed on Introductory Exercise 3 – 3rd to 6th April 2018. 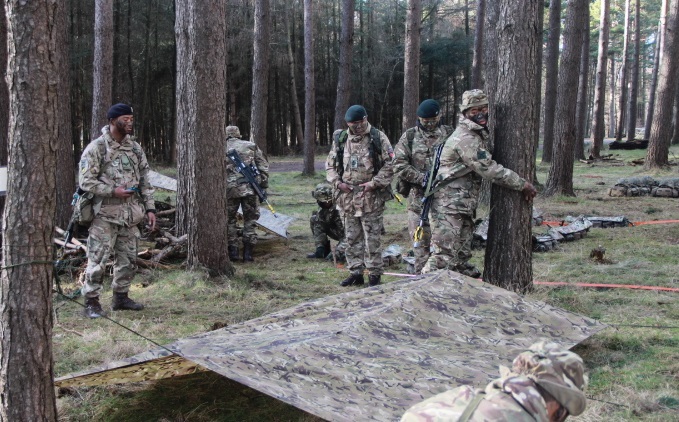 It was a third consecutive field exercise for them and progressive and further advance field craft objectives were imbedded into the exercise. On completion of administration phase allocated on Tuesday morning, all trainees moved to the Catterick Training Area (CTA) on foot under supervision of their respective Platoon staff. During the first 3 days, all trainees undertook number of field craft training and participated in Section level enabling ops. On the final day of the exercise, a field craft summative assessment was conducted. This assessment was a precarious to complete Common Military Syllabus phase and move into the Combat Infantry Course. Hello again, sorry it has been a while since our last post. 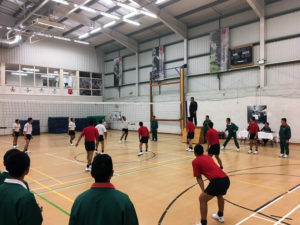 It has been another busy few weeks in Catterick; with our second exercise, a volleyball competition and our first English lessons. Two weeks ago we all deployed on Intro Exercise Two. It was our first time carrying our Bergens and all of our combat kit – it was really heavy, but everybody got through it. On the exercise we learned how to judge distance, how to give target indications and how to move tactically. This felt great as they are all basic skills of a soldier, so we feel like we’re becoming better soldiers each day. Take a look at the pictures to see what we got up to. Last Saturday the whole Company got together to have a volleyball competition. It was great opportunity to relax and let out some of the stress that comes with our training. All the teams played really well and the overall competition was won by 1 Platoon. Unfortunately our Platoon did not do so well, but we enjoyed ourselves a lot. We have finally begun our English language training, which has been really interesting. The teachers are civilian, so have a very different style of teaching from our instructors. It has been really interesting to read British newspapers and to have the opportunity to access the internet after so long! Every night we were given homework to do, some of it was quite hard but we have learned a lot. 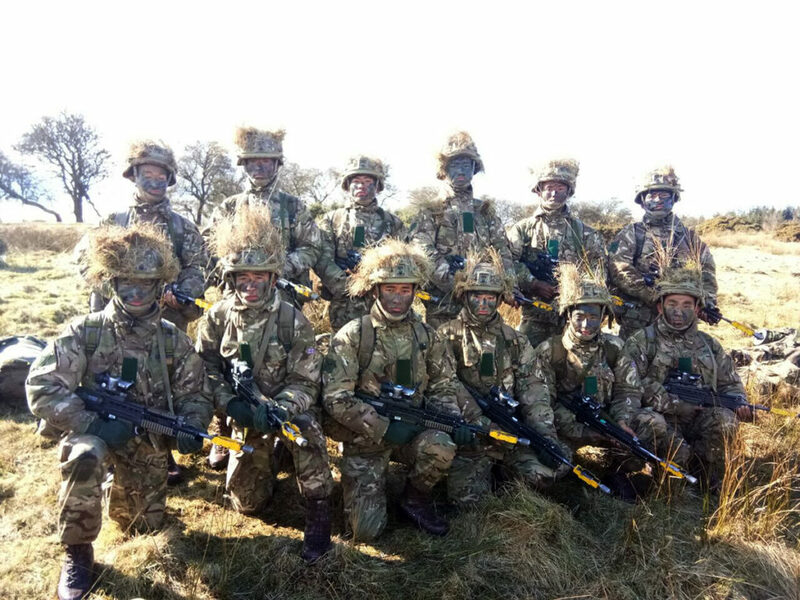 So overall it has been another good few weeks in Catterick, take a good look at the photos and keep an eye on this page for more! If you want to hear about anything in particular, please comment on the blog or email and one of us will get back to you in the next post! 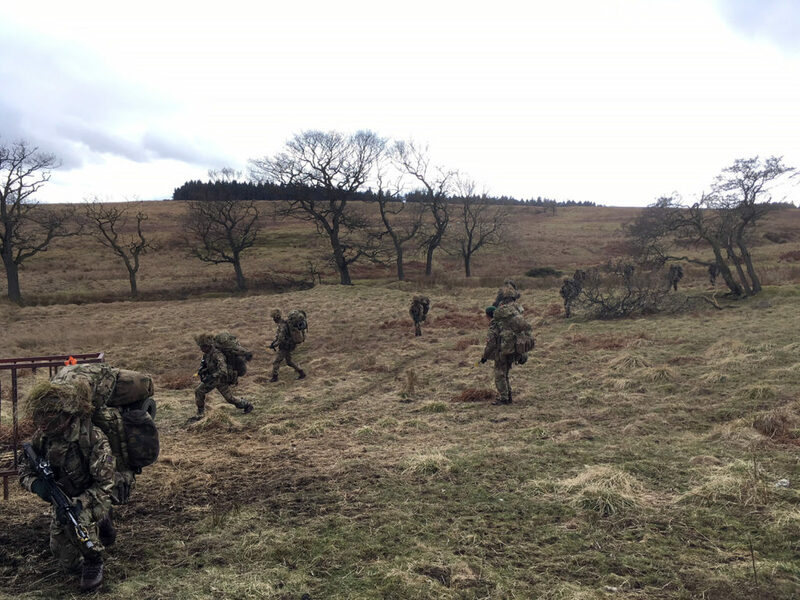 The Recruit Intake 2018 Introductory Exercise 2 was conducted over the period 22nd – 23rd March 2018 in the Catterick Training Area. 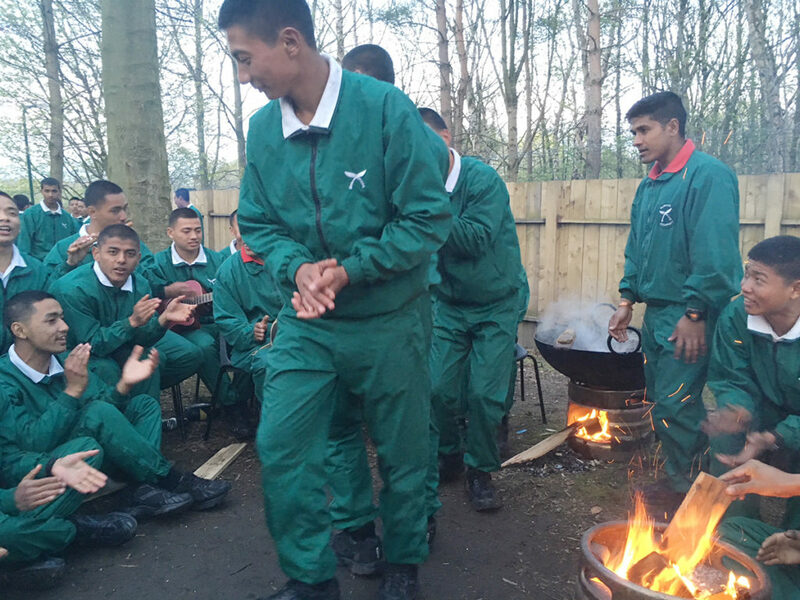 It was the second experience for the 270 young Gurkha trainees living in field conditions and learning more field craft knowledge and skills. Find out more on this webpage. Hello again! We have now finished a whole month of training at the Infantry Training Centre Catterick and we are slowly becoming soldiers, but it feels like I arrived yesterday. Day by day our work load is increasing gradually and we are learning so many new things; physical training, foot drill, weapon handling, grenades, field craft and map reading. The thing I like the most is the field craft training, this is when we deploy onto the training area and learn to set up platoon harbours and defences. Although it sounds rough and hard, I am always curious to learn new things about field craft and our tactical training, and I really enjoy learning how to survive in the field. Throughout our training our Gurujis have supported us and are teaching us everything that they know. Our weapon handling lessons have been continuing, and I felt really proud when I first held a real rifle. I thought that I can now call myself a real soldier. We have also conducted fitness sessions and a personal fitness assessment which was really fun. I am looking forward to the physical training increasing as I am beginning to feel a bit slow, but I understand that we must take it slowly at first to allow our bodies to develop and change. The only downside here is the weather! We had 20 cm of snow for about a week, this was a totally new experience for all of us and it freezing. That’s all for this week, keep an eye out for the next post! 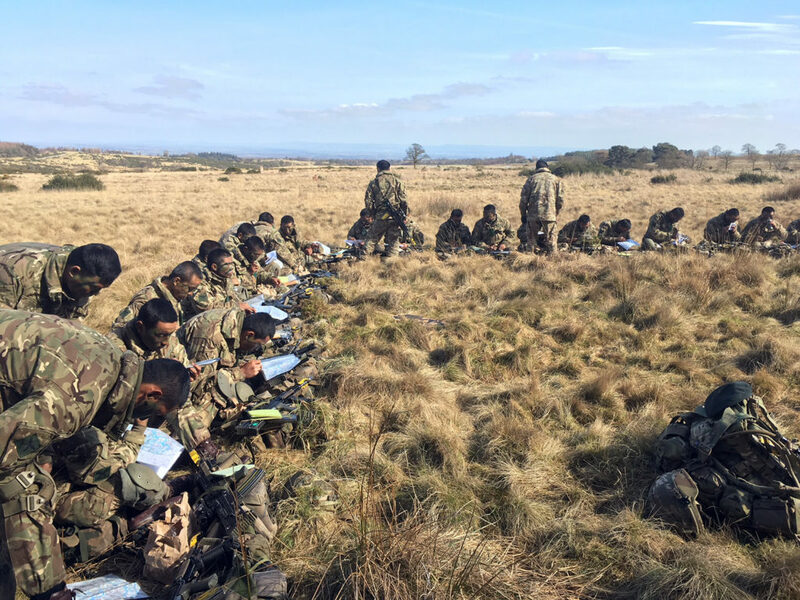 Recruit Intake 2018 – Introductory Exercise One The Gurkha Recruit Intake 2018 Introductory Exercise One was conducted over the period 08-09 Mar 18 in Catterick Training Area (CTA) within the North Yorkshire District. 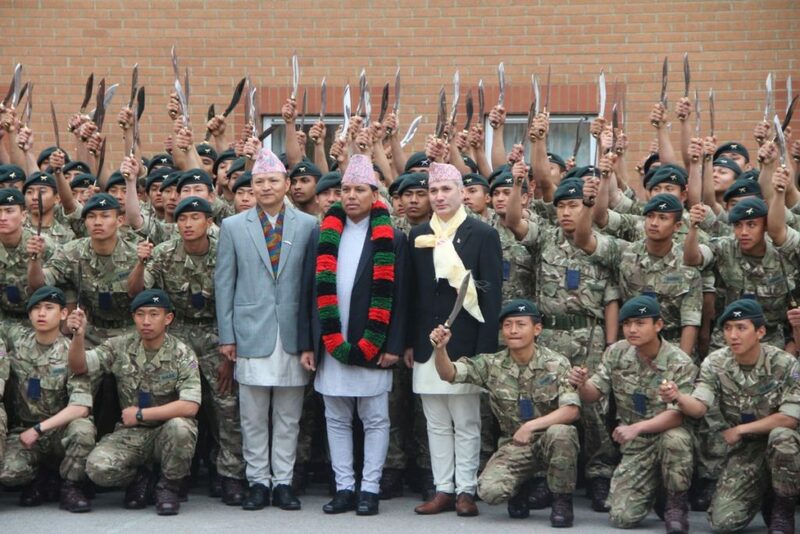 All 270 Gurkha trainees were deployed in the field under command of their respective Platoon Commanders. It was a the very first field exercise for these young trainees. The aim of the exercise was to give them an experience of how to carry out basic administration and maintenance of their equipment in the field. 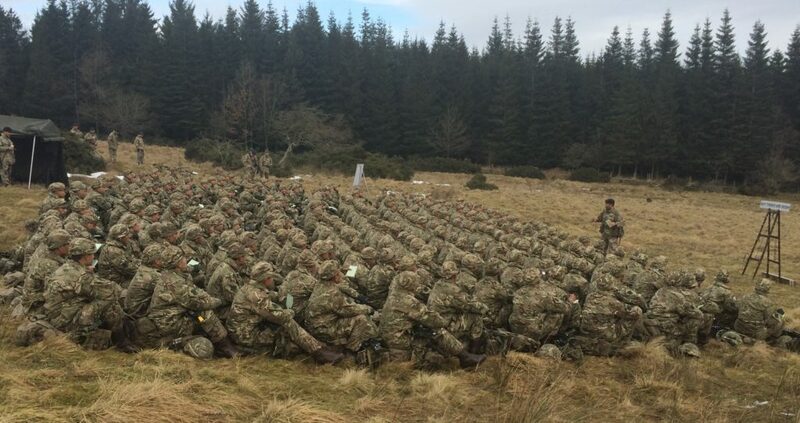 The basic field-craft lessons were also entrenched into the programme and delivered by Section Commander Instructors. The delivery of central demonstrations on ‘Why Things are Seen and Personal Camouflage and Concealment’ were also coordinated and conducted by Captain Ashok Gurung and Captain Genendra Rai respectively. It was a good experience for the new trainees, the very first time deployed out in the field in adverse UK winter weather. See more of their activity on these images. 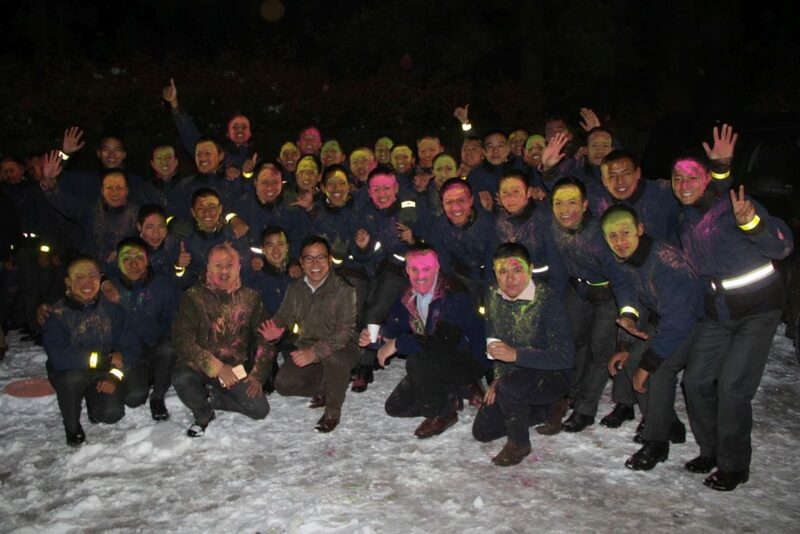 Gurkha Coy ITC Catterick – Holi Festival celebration Gurkha Company Infantry Training Centre Catterick observed the Hindu festival of Holi (Festival of Colour) on Thursday 1st March 2018. All 270 new trainees from Recruit Intake 18 and Permanent Staff including the Commanding Officer 2 Infantry Training Battalion and his family attended the celebration. 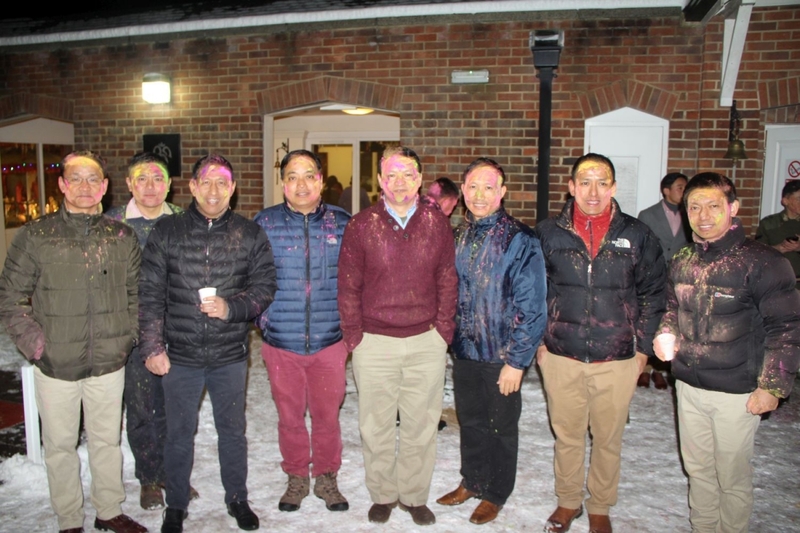 A short ritual service as per Hindu custom took taken place in the Gurkha Temple and Holi celebrations followed outside the temple where everyone enjoyed smearing various colours to each other. This festival was celebrated to mark the end of the winter and beginning of the Spring as well as a triumph of god over devil. This was a first festival celebrated by Recruit Intake 2018 in UK away from their families and had thoroughly enjoyed the celebration. 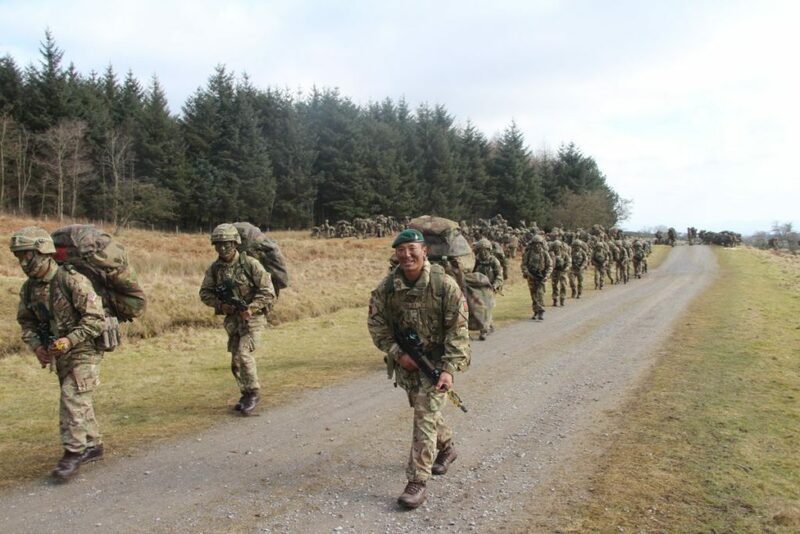 A Week of Firsts – Trainee Rifleman Devendra Gurung, 3 (Tobruk) Platoon On the 12th of February I finally arrived at Manchester airport after a long flight with four platoons of my intake (135 people in total!). It was my first time on an international flight and it was very exciting as I was able to watch movies throughout. When we arrived in Manchester it was very cold (3 degrees) and it was snowing heavily, again this was another first – my first time seeing snow. 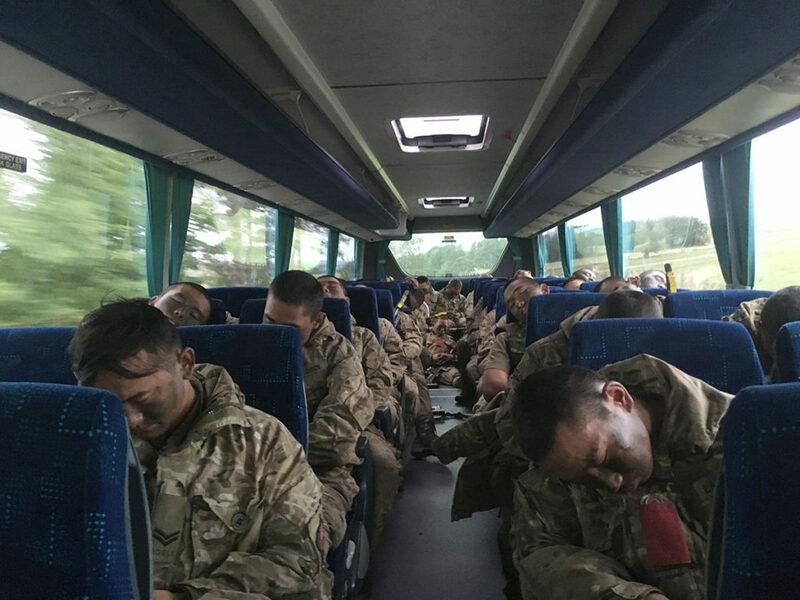 We were taken by bus to the Infantry Training Centre (ITC) Catterick, where we will spend the next 9 months being trained to become Infanteers. On arrival at Gurkha Company ITC, we were warmly welcomed by our Sahebs and Gurujis and some assembled families. Our Officer Commanding, Major Prem Saheb, welcomed us to the Gurkha Family and the unit second in Command welcomed us to Catterick. It was a very emotional moment, and although I miss my family at home, it is nice to know that I now have a new family in Gurkha Company. Immediately our training started, and we have been learning how to make our beds and lockers in the correct soldierly manner – another first. We have been issued many items of clothes which must be ironed every day in order to make us look smart, and we have also received a welcome pack with all the basics needed for Army life. I have met my Platoon Commander, Platoon Sergeant and Section Commanders. They are always teaching us new things and are very keen for us to get better. Already I really enjoy being a British Gurkha, and I am so happy to have achieved this goal. I am really looking forward to continuing my training, I or one of my intake will keep you updated as training continues so keep reading!